The Rapid Acquisition Multisight Platform (R.A.M.P.) 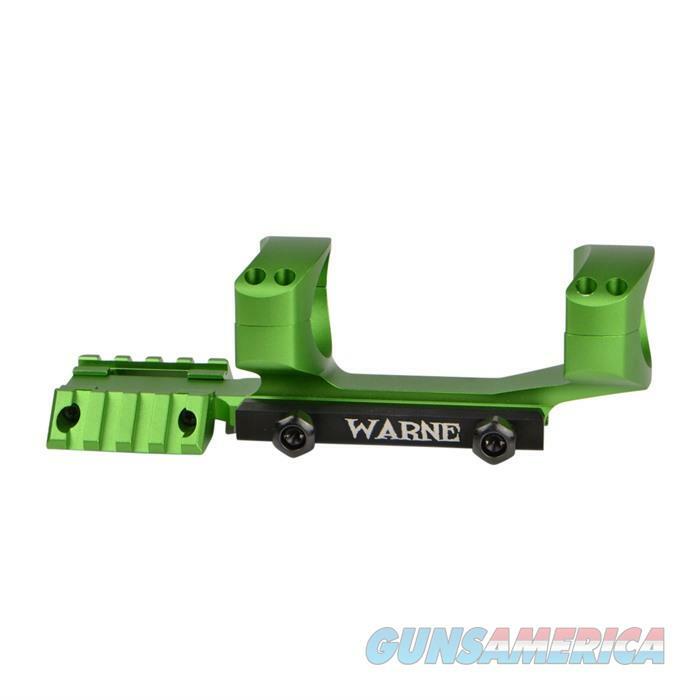 is a one-piece cantilever mount with integral scope rings that positions optics farther forward to provide 1??" of extra space at the rear for mounting a long eye relief scope, night vision device, or magnifier. Features removable MIL-STD 1913 Picatinny rails on the left and right sides that let you mount secondary sights 45?° off-axis from the main optic. Each top ring strap is secured with four Torx? screws for recoil-proof holding power. Two large hex nuts and 3??" long steel clamping bar lock the mount to a Picatinny receiver rail. Smooth contours and radiused edges give a streamlined appearance, reduce weight, and prevent snagging. Models available for 1" or 30mm scope body.